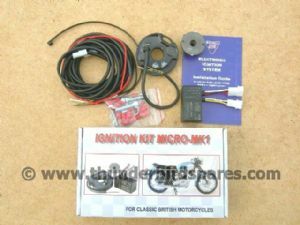 This is a new Wassell electronic ignition kit suitable for all twin and single cylinder Triumph, BSA and Norton models which have the points housing in the timing cover. It replaces the points, condensors and atu with solid-state components. 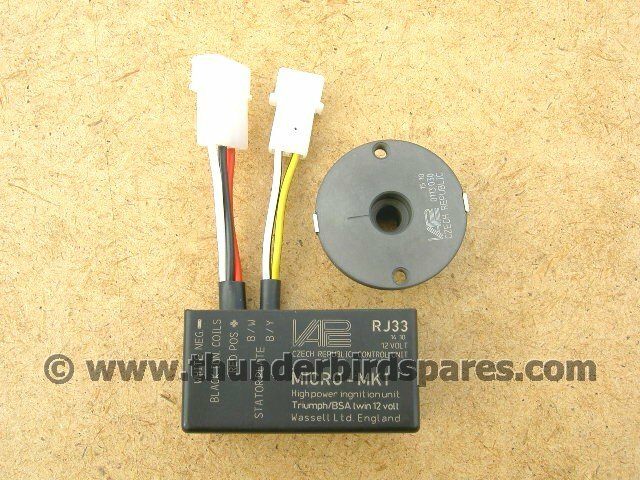 They are manufactured by a European electronics company exclusively for Wassell using premium quality components, with a unique billet stator plate design (CNC manufactured stator/trigger). No fragile pick up coils or exposed soldered joints which are often easily damaged. The stator plate has all component parts fully encapsulated in resin to avoid these issues. The unit will run with negative or positive earth but will need a 12 volt system. The transistor box is very small measuring 56x28x26mm and can be tucked away easily under the tank etc. All wiring and connectors are supplied as well as comprehensive fitting instructions. 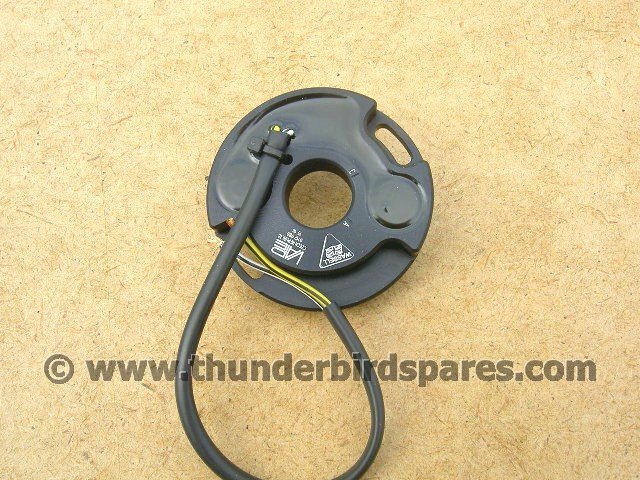 We recommend using a 12v twin lead coil with a 3.5 - 5 ohm primary resistance to give the best performace on a twin cylinder machine, we do sell these, please check our listings. The system will work between 10 -16 volts.